Plantronics EncorePro Series Headsets and Headphones let you reward your favorite playlist and top performers because these headsets are designed for customer service representatives. Their elegant finishing design makes them more stylish and slim. Its feature weight headband and ultra-soft ear cushions provide all-day comfort and ease. These headsets have a curved and telescoping microphone which delivers crystal clear voice and make you confident and soundly. These features of Plantronics EncorePro series make them ideal for professionals in the office or on the go. Plantronics EncorePro Series Headset enables automatic noise canceling feature and let customer hear every word crystal clear. These headsets have sound guard technology which provides protection against loud audio spikes by limiting voice call at 118dBA. Plantronics EncorePro Series Headphones are designed to provide long-term reliability and durability. These devices are engineered for every type of environments like disruptive or intensive environments. Their reinforced and adjustable headband provides the secure and stable fit. 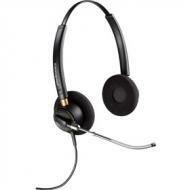 These headsets have wideband audio which delivers richer and clearer conversations. These headphones are designed to withstand intensive environments and to minimize operational disruptions. 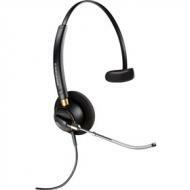 With long term reliability and extremely durable cables, these headsets are ideal for professionals. There are much more features of these headphones you can avail them by buying from our online store Telegiants.com and avail great discounts on every item we sell with 30 days money back guarantee. 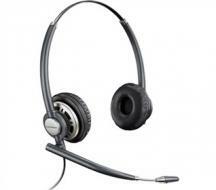 We are dealing in headsets since 1964, so we offer lifetime support on all headsets you buy from us. The Plantronics EncorePro HW301N Corded Headset conveys remarkable style and execution to contact focus experts, mixing extravagant solace with predominant sound clearness and smooth, cleaned looks. 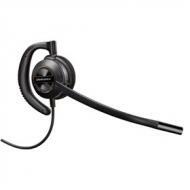 The headset highlights high-recurrence wideband reaction for perfectly clear, productive correspondences. The HW301N is worked with premium lightweight nylon composite materials giving an ultra-lightweight plan. 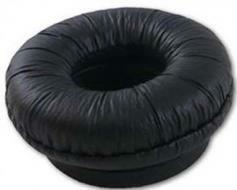 Rich leatherette ear cushions give throughout the day comfort, and the fortified, lightweight headband gives quality and solidness. The extendable mouthpiece guarantees exact situating so clients hear each word. Plantronics EncorePro HW301N Corded Headphone provides audio IQ technology which can overcome background noise automatically. 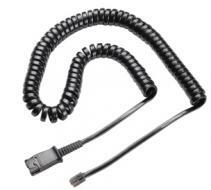 Its lightweight and adjustable headband provide all-day comfort and ease while in the office or on the go. 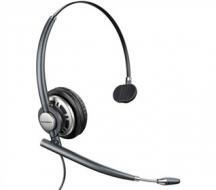 Plantronics EncorePro HW291N Corded Headset is one of the latest innovative and advanced technology product introduced by plantronics. 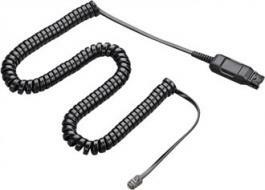 This unique and distinguishable headset is designed with keep in mind particularly the call centre and office professionals. The Plantronics EncorePro HW291N is made up of light weight nylon blended material which provides extremely lightweight design for all day comfort. This corded headset features noise cancelling microphones which deliver the users clear conversation and perfect sound quality in a noisy surroundings. 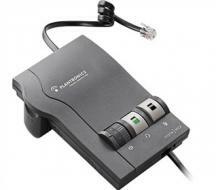 The Plantronics EncorePro HW510V Corded Headset with Voice Tube guarantees to convey our clients with items that will shield them from long haul every day clamor presentation and recognize and evacuate acoustic startle occasions that are either awkward, or can possibly progress toward becoming anxiety initiating. To guarantee an unrivaled – and safe – sound experience Plantronics headsets come furnished with a safeguard acoustic assurance innovation, called SoundGuard. The HW510 has delicate ear pads for throughout the day wearing solace, metal joints that convey sturdiness and unwavering quality and an adaptable mic with visual and material situating guides for exact situating and clearer discussions. 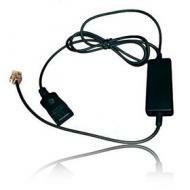 Plantronics EncorePro HW520V Corded Headset with Voice Tube is binaural over the head headset provided with voice tube mic and stereo ear pieces. 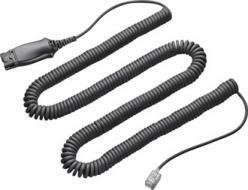 The microphone aids you in getting greater audio pickup which is very appropriate and suitable for quiet and subdued workplaces. The headset is suitable to be worn for whole day, it is extremely comfortable, light in weight and the soft cushions are so comforting to let you forget that you are wearing them on your ears. It comes with twin speakers covering both ears and provides the suitable environment for calls despite outside distractions. The SoundGuard technology makes sure that your ears are well protected and limits the sound spikes above 118 dBa.